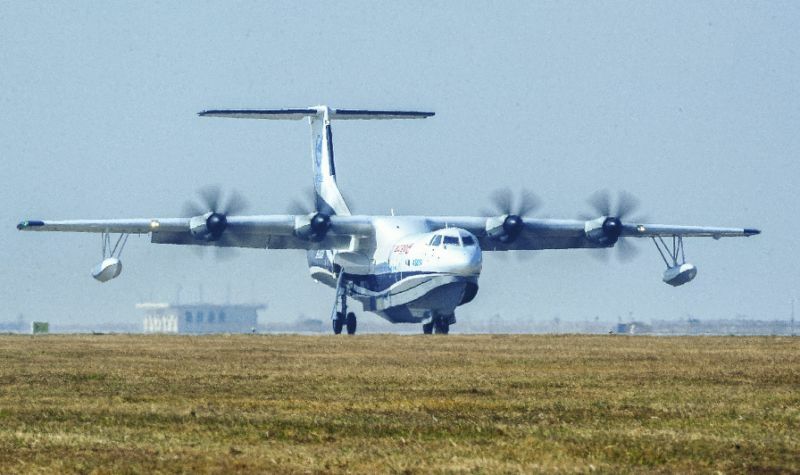 Assam’s Majuli is all set to get a first-of-its-kind amphibious aircraft, as a regular mode of transport. A team of officials from the Airport Authority of India (AAI) and SpiceJet on Thursday, arrived in Majuli for a study regarding the operation of seaplane between Guwahati-Kaziranga-Majuli. The seaplane will be operated by SpiceJet and the aircraft will be manufactured in Japan. Apart from the AAI, a multi-disciplinary central team comprising senior officials from Director General of Civil Aviation (DGCA), Spice Jet Airline, India Meteorological Department (IMD) along with State Water Resources Department will study and discuss the plan to set up a water aerodrome for the amphibious aircraft operations. The team, led by Sangeeta Mahay, GM (Arch) of AAI, held a meeting with the Deputy Commissioner (DC) of Majuli Debaprasad Misra at the Conference Hall of the DC Office on Thursday night. Additional Deputy Commissioner of Majuli Chinmoy Nath, Circle Officer Ajit Kr Sarma and other officials from the district administration were also present in the meeting. In the meeting, the Executive Engineer of Majuli Water Resources Division, Dr. Rajiv Goswami was also present.